Gameplay system and controls have changed in Streets Of Fury EX, here are some changes. Now you switch between planes with up+Jump or down+jump, the character doesn’t slide like before but « hops » into the plane allowing the possibility of an air attack. B : special attack. A powerful special move that depletes the character’s « stamina » gauge. Can be linked after any move (but a fury). Can be modified with a direction for different special moves. Stamina gauge : allow the player to perform special moves. Regenerates with time. Stamina is depleted if you’re hit when blocking. A GUARD CRUSH occurs if you block a hit with you’re stamina gauge empty. GUARD CRUSH : Your guard explodes, you’re left defenseless for a couple of second. Of course you can GUARD CRUSH ennemies ! Overall, possibilities of creating your own combos are so much more, I hope you’ll enjoy it. Streets of fury music is back online ! Sound cloud for Streets of fury music has been created ! Streets Of Fury 2 ? A sequel has been started. 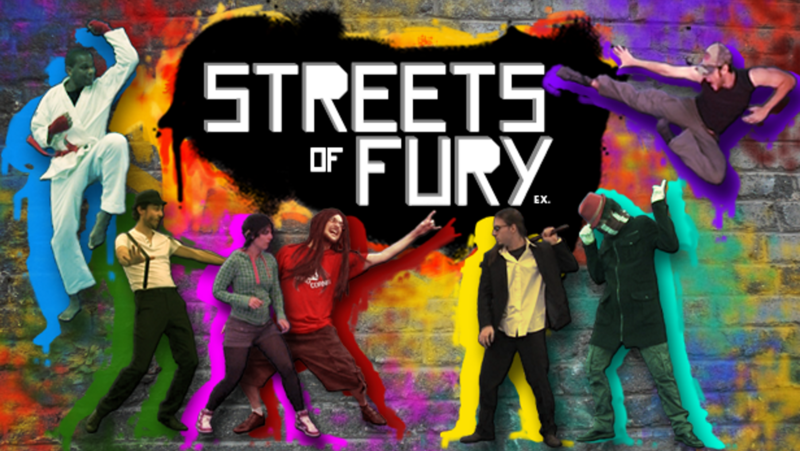 Will it be Streets Of Fury 2 or something else ? We don’t know yet but it will be a beat ’em all with a deep fighting system. For now we’re working on improving our engine render. So next game will look much much nicer. Check out a new combo video featuring Buddy Carmichael.